After 3 decades, it seems that the only thing leaders and HR can agree on is that employee engagement is important. Exactly why that is so, or what it is, and how to impact it, has so far been open to interpretation. In 2019, this is beginning to change. 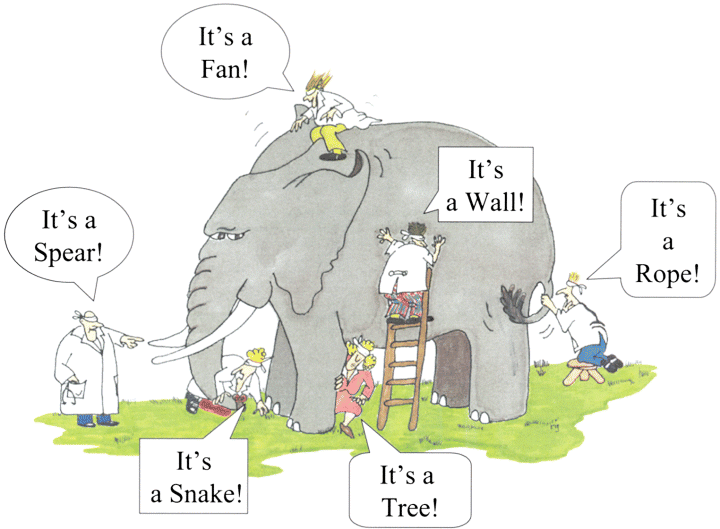 What appears at first glance to be a cacophony of definitions actually are different ways of describing the same thing. Distilling Kahn’s academic definition, I prefer to just think about engagement as the way to describe someone who is motivated and productive at work. “And”, not “or”. The reason it transcends any particular activity is that it is intimately woven into the employee experience. In other words, what the employee goes through at work every day is the Experience, and how she feels about it is her level of Engagement. Why is this distinction important in 2019? Because tech and analytics have made it possible to truly observe and modify employee engagement throughout the employee experience. Employee engagement has now become contextual, and trackable in real-time. On LinkedIn, the number of professionals with “People Analytics” listed as a skill has increased by >60% over the past 12 months. It’s no wonder: studies have shown that the return on investment on people analytics can be as high as $13.01 for every dollar spent. That’s almost better than printing money. This shift and its impact on the human resource function promises to be as significant as the data revolution has been for the marketing function. The Harvard Business Review identified big data as the next “management revolution“. With increases in the velocity of data transfer, the volume of data collected, and the variety of data types collected, marketers have been able to orchestrate highly personalised customer experiences. 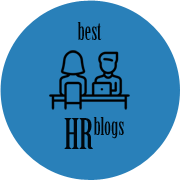 The application of such analytical techniques to HR, or “people analytics” as it is sometimes referred to, would allow companies to create extremely targeted and personalised employee experiences to increase engagement. This is a pity. With disciplined data collection and analytics, an evidence-based approach to building and calibrating your company’s service-profit chain can be taken. The people levers to influencing each of the items on the left-hand column above can then be much clearer. The way technology tracks Operational Data (“O-Data”) for customers in our Customer Relationship Management (CRM) systems is very similar to how we track ‘O’ Data for employees in our HR Information Systems (HRIS). 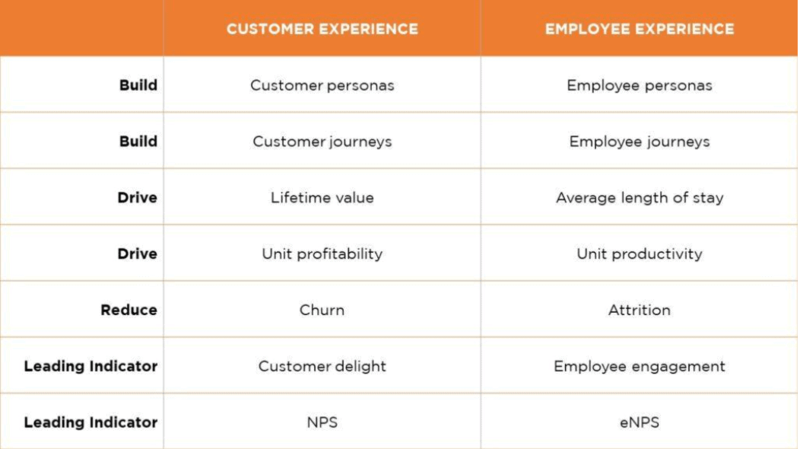 When it comes to Experience Data (“X-Data”), it would be helpful to also have a single source of truth for employee engagement captured throughout their lifecycle. Automated technology tools, like EngageRocket, allow HR and teams to analyse employee engagement through onboarding, talent programmes, mergers or acquisitions, and change management, even giving early-warning signs of regrettable attrition. These tools unlock two main capabilities to help leaders and managers: Specificity and Timeliness. A problem with using data to support managers in the past was that there were too many of them. There were practical constraints around how detailed that data could be, and how many managers could receive personalised results. With analytical capabilities today, managers at all levels can get detailed reports on how their team has been responding to their leadership style. In some applications, they can even get tailored suggestions on what actions they should take to reduce the risk of their people quitting. For instance, I might find out that my team of three is frustrated at being unclear about the expectations of them that have resulted in unnecessary and unproductive work. I may then be prompted to set clearer goals and priorities, without leaving my personalised dashboard. Some applications may even allow me to clarify comments made by my team in a safe environment, without them having to identify themselves. Multiply this across hundreds or thousands of team managers within a company, and very soon real change in the attrition rate can be observed. This simple approach to using people analytics is why such surveys are still the best way of measuring and improving employee engagement, even in a cutting-edge technology company like Facebook. The key to mitigating talent attrition is prevention, rather than cure. That means getting early warning signals of unhappiness, instead of trying to read patterns from exit interviews. Automation and analytics allow for real-time sentiment monitoring of employees today. Organisation network analysis draws data from employee communication: who they talk to (via email or chat), when and how long each communication happens, how many others they frequently contact and so on. You can then observe patterns and act on them. For example, managers can learn to identify employees who are burning out and rebalance their workload. Another means of getting timely data is through pulse surveys – short surveys sent frequently to employees on specific topics, with results and analysis delivered in real-time. Managers can then access what their people are thinking, and take immediate action on any red flags before the resignation letter appears on their desk. Having some version of this programme in your company to “understand the sentiment, provide actionable insight in real time, and enhance the work environment”, as described by Krish Krishnan, the head of Amazon’s Connections team, would go a long way to bridging the actionability gap in most survey programmes. Employee engagement is an ongoing process and needs to be applied across the six milestones of the employee lifecycle experience: Onboarding, Engagement, Development, Performance, Transition and Separation. This also needs to be cross-referenced against the employee’s stage of life: fresh into the workforce, having young children, caring for older parents or relatives, approaching retirement and others. In 2019, companies now have the ability to do this. The extent to which HR leaders are able to make this contextual connection to business determines how successful or not any employee engagement initiative will be. Technology and data tools today enable this connection to be made more than ever before, but the first step is still a human one. 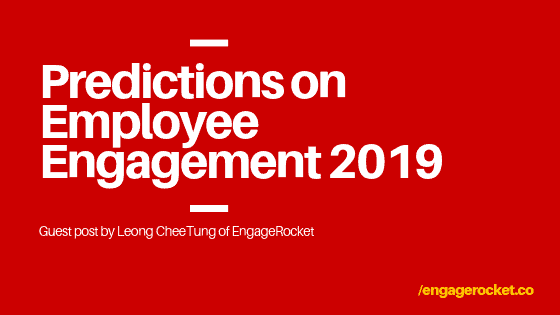 We need to be open to measuring and improving employee engagement in a different way than before, and rallying fellow leaders around improving workplaces and productivity using people data. That is one aspect of business and work that machines won’t ever replace. And it’s why there’ll always be a need for employee engagement. Come and see the latest in employee engagement and experience software at TechHR on 28 Feb 2019. Drop by EngageRocket’s booth to see it in action, and stand a chance to win an attractive prize! This blog post is contributed by Leong CheeTung of EngageRocket. EngageRocket is a software-as-a-service platform that helps leaders and organisations make better people decisions using real-time data. 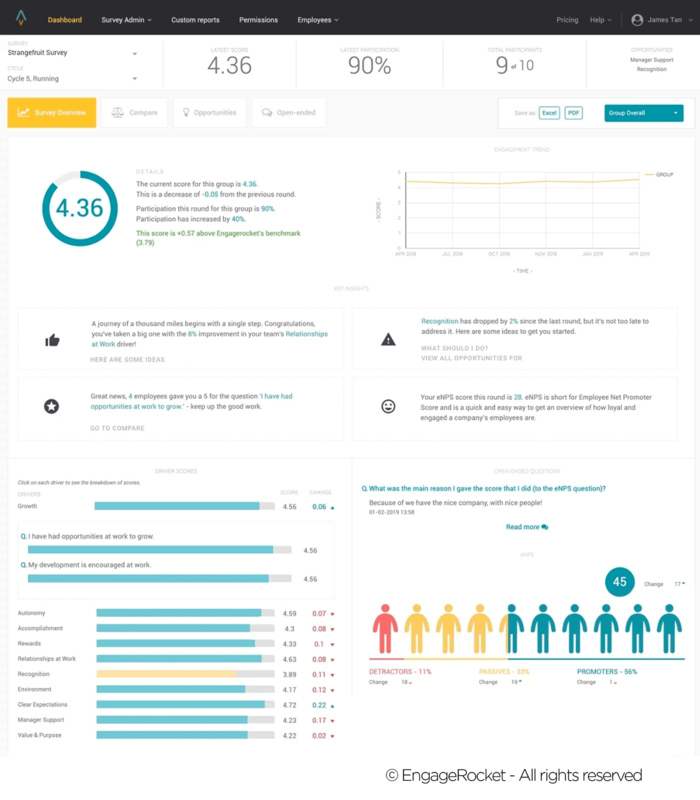 EngageRocket automates employee feedback and analytics to provide insights and recommendations to leaders so that they can ensure that their employees belong, grow and perform with the company. The company now has more than 30,000 users across 13 countries in the Asia Pacific, and more than half a million responses analysed in nine Asian languages.